The Early Bird flight departs only one time per day, 10:00 am, and showcases similar scenery to the Top Flight but from a much higher and expansive vantage! 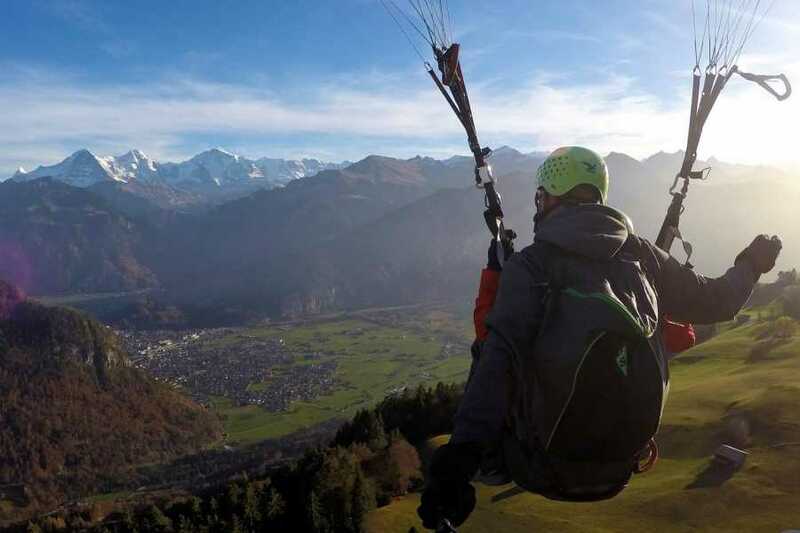 Taking off from the beautiful Niederhorn Mountain, at an elevation of 1'950 meters (6'400 feet), you will follow the ridgeline East, along the Lake of Thun, and land in Interlaken after a memorable 20-40 minute flight. In about 30 minutes we drive in our van from Interlaken to the bottom station of the Beatenberg-Niederhorn cable car, have a short walk and arrive at the takeoff area with its amazing views on Eiger Mönch and Jungfrau. Cable car tickets need to be paid extra.